There's nothing quite like seeing a beautiful photograph to get you in the mood to try something new. 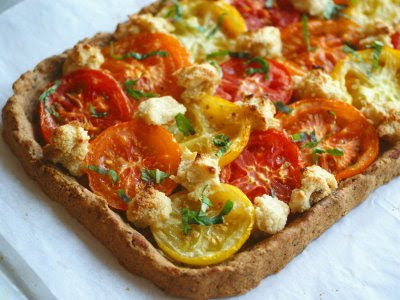 To go along with that theory, we have compiled some of our favorite photos from recipes submitted to This Dish Is Veg. Grab a hanky, drooling will surely ensue. 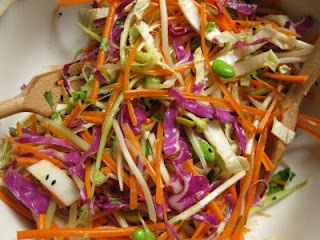 Ingredients include carrots, red cabbage, celery, onions, avocado, and smoked tofu. 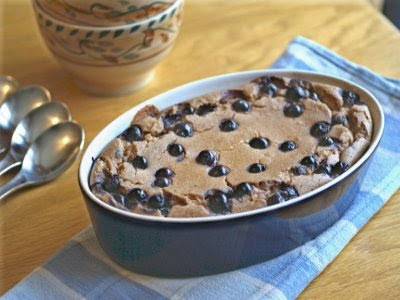 Ingredients include blueberries, hazelnuts, cashews, rolled oats, and applesauce. 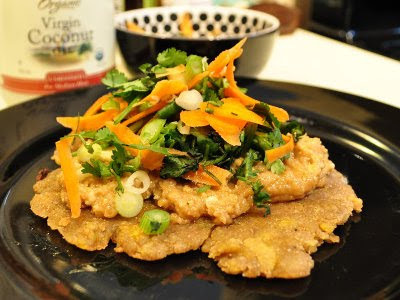 Ingredients include plantains or green bananas, cashews, carrots, cilantro, and lemon juice. 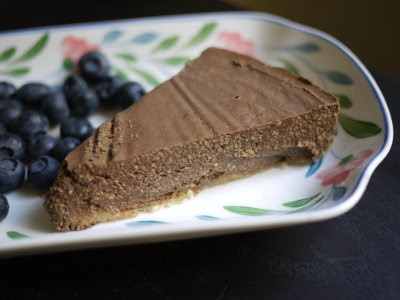 Ingredients include carob or chocolate powder, raw cashews, agave, coconut, almond meal, and dates. 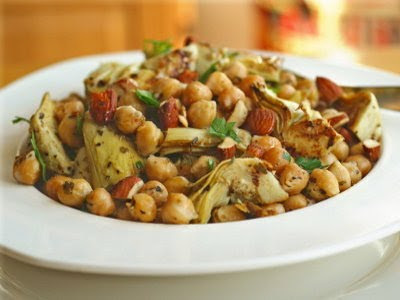 Ingredients include chickpeas, artichoke hearts, parsley, garlic, and basil. 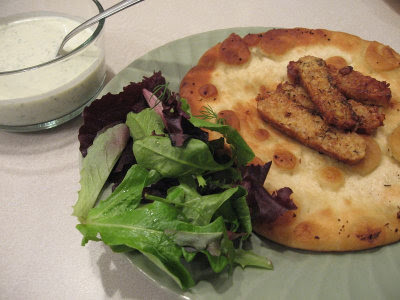 Ingredients include tempeh, cucumbers, oregano, thyme, dill weed, mustard powder, and onion. 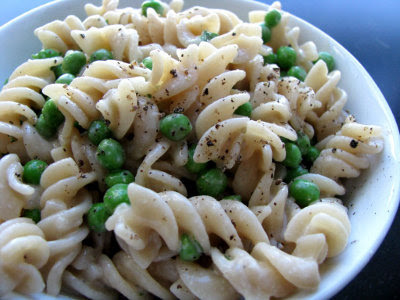 Ingredients include Rotini noodles, peas, tahini, cilatro, and nutritional yeast. 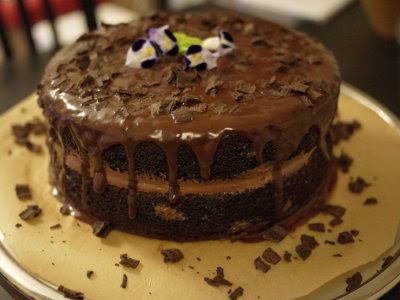 Ingredients include dark chocolate, Kahlua, cocoa powder, soy milk, maple syrup, and soy butter. 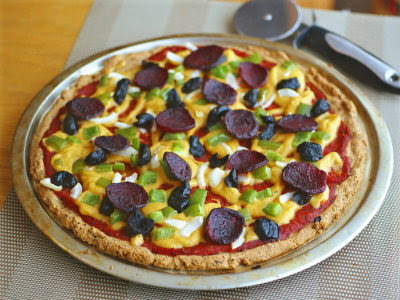 Ingredients include beets, broth, pizza crust, dairy-free cheese, sauce, and liquid smoke. 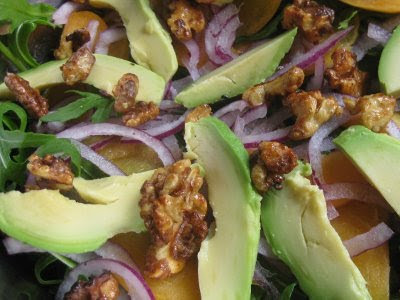 Ingredients include avocado, walnuts, maple syrup, rocket, apricot, onion, and mint. Canadian Bounty Bread by Sarah Reid at What Smells So Good? Ingredients include blueberries, dates, cranberry juice, potato flakes, and brown rice. Submit your recipe to This Dish Is Veg's No Meat Zone.